South West Edible Estates will be holding ‘Cook Your Own’ Sessions inviting people to come along cook a meal and share it with your neighbours. 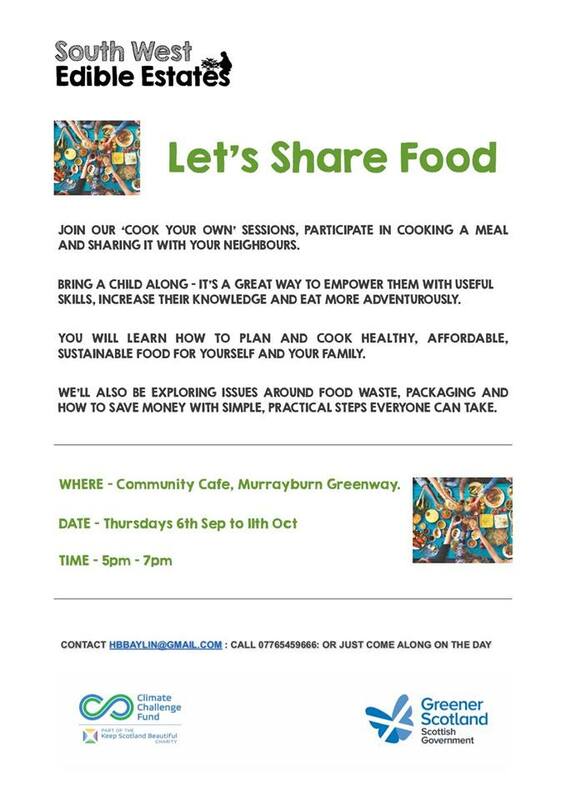 The sessions will take place on Thursdays 5.00pm – 7.00pm at the Community Cafe, Murrayburn Greenway until Thursday 11 October 2018. Learn how to plan and cook healthy, affordable, sustainable food for yourself and your family. For more information contact hbbaylin@gmail.com or call 07765459666.